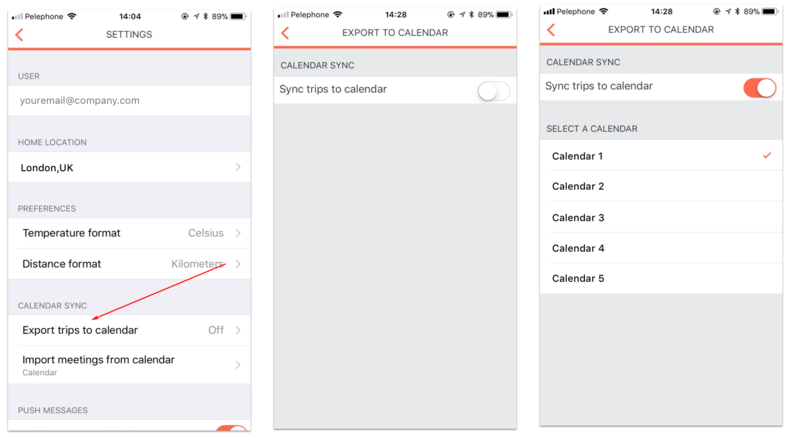 Select a calendar to sync the trips to from the list displayed. After enabling calendar sync for the first time on iOS devices, you will receive a pop-up message to grant the myCWT app permission to access your calendar. You'll need to grant the app permission in order for your trip info to show on your calendar. You can always change your permission setting on the device by going to Settings > Privacy > Calendars. 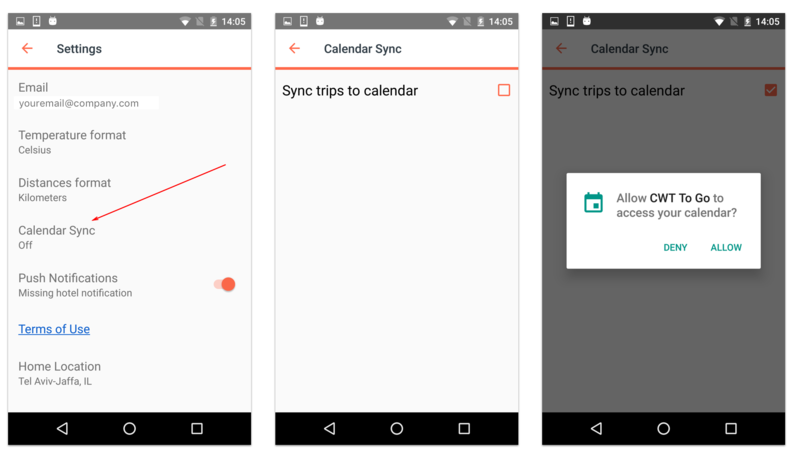 Tap the box next to “sync trips to calendar” to check it. When a trip is added to myCWT app, there may be a delay seeing the details in your calendar. This is due to the sync settings on your device, which differ for each device type and user.